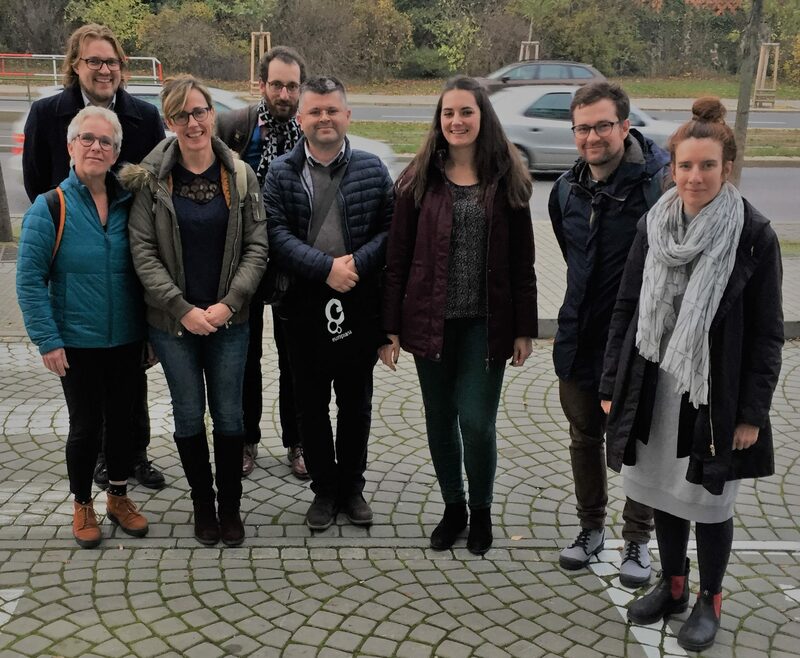 On 5-6 November, the partners of the project “Opening Up Historiana” came together at the Institute for the Study of Totalitarian Regimes in Prague for their first transnational project meeting. The project – which is coordinated by EUROCLIO – started on 1 October 2018 and involves four other partners: Webtic (Netherlands), the Institute for the Study of Totalitarian Regimes (Czech Republic), Stockholmskällan (Sweden) and the Museum of Slavonia (Croatia). These partners work with Europeana Foundation, who was also represented in Prague. They will work to improve the Historiana eLearning Environment and open it up by involving more developers in the webdevelopment and more partners in the creation, publication and sharing of resources. The project will result in three new eLearning Tools for the Historiana eActivity Builder and the possibility for partner and member organisations to publish and curate resources on their own page. The project will also result in recommendations for the Europeana Initiative (detailing what needs to be done to ensure that history educators find what they need) and a business case that allows the project to grow. During the first day the project partners familiarised themselves with each other, with the project and with Historiana: The partners, including Europeana, presented themselves and their organisations; Judith Geerling (EUROCLIO) presented the project outline; Nique Sanders (Webtic) presented the first sketches for the partner pages; and Steven Stegers (EUROCLIO) demonstrated how Historiana works, feels and looks. The second day focused on the management and implementation of the project: The partners reviewed the partner agreements, discussed how cooperate during the project, and planned the upcoming meetings. As a next step, the partners will collect ideas for new eLearning Tools and start develop source collections.